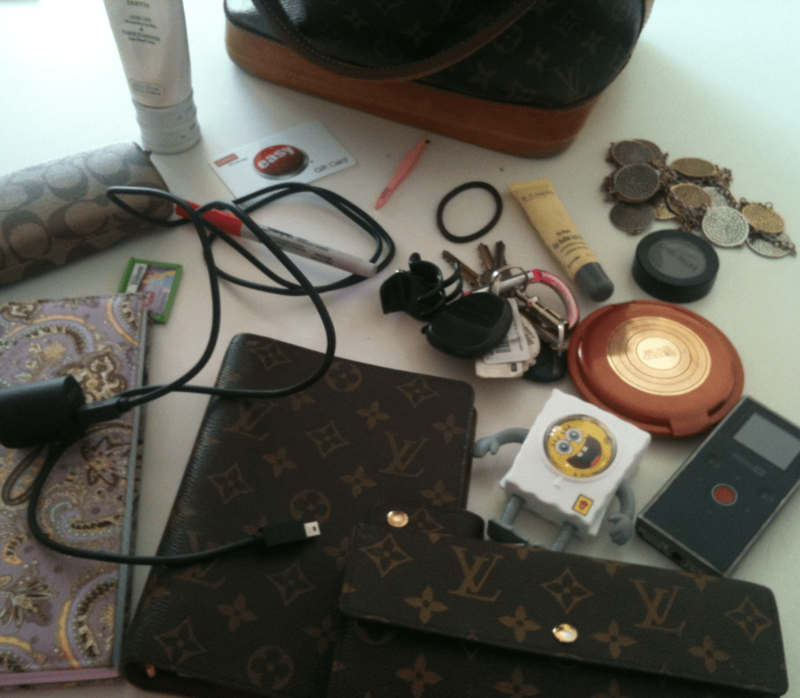 My ‘Getting Gorgeous‘ partner and bestie Audrey McClelland from ‘Mom Generations‘ shared a look inside her purse. I love the mash up. Louis Vuitton and SpongeBob? SURE!!! NOOKcolor charger – smart lady!!! I always lose power and end up being helpless! What a fun idea! Sadly, my purse is such a mess that the thought of sharing it’s contents make me want to go clean it out right now. Kudos to Audrey for using Votre Vu. I always carry that in my purse too! What I want to know is does she use the FLIP camera for video blogging? I actually have my husband help me… or (it looks crazy) I balance it on a ton of stuff to make it work!